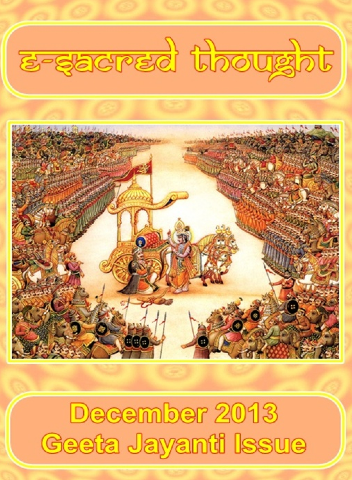 Sacred Thought – December issue out! Do check out the Geeta Jayanti issue of Sacred Thought right here! This month’s issue is filled with many interesting articles and interactive activities – one is sure to be spiritually enlightened! Enjoy!